Today we are launching a photo competition suitable for all local residents aged from 8 – 80+. With the twin themes of What Southam Means To Me and Southam, Past, Present and Future this gives a great opportunity for us to show the pride and express how we feel about our town..
We are very keen to find out the views of younger people, who are growing up in the town, so there are special age categories for them to enter, and adults can take part too, in the 18+ section. If a whole family took part, entering in different categories, that would be fantastic. Southam Neighbourhood Plan Steering Committee (see www.southam- nspc.co.uk) is a group of local volunteers, working to develop a plan for how Southam will make the best of the change and future growth. To be successful we need to understand local opinion, so we can produce a Neighbourhood Plan which will guide building, development and change. 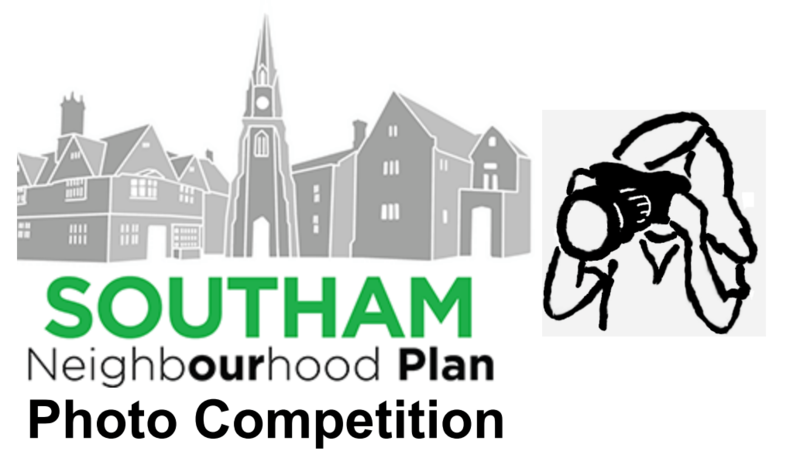 We hope that this competition will give local people a different and most importantly FUN way of expressing their feelings about the town and where suitable we anticipate including some or all of the photos in the final Plan. Competition is open to 4 age categories: 8-10, 11-13, 14-17, 18+ with a closing date of Tuesday June 6th. Entries must be submitted via email (southam.nspc@gmail.com) to the competition organisers. All photos must be the entrants work and be free of copyright restriction. Winners will be announced Thursday 6th July.